Abstract: We will discuss a number of legitimate and of wrongful applications of the Second Law of Thermodynamics, in particular, in the screening of chemical processes. We consider how ideas of equilibrium thermodynamics and statistical mechanics can be of value in some non-equilibrium situations, particularly in the cases of very slow diffusion and reaction. Biography: Eduardo D. Glandt is Dean Emeritus of the School of Engineering and Applied Science at the University of Pennsylvania. He earned his undergraduate chemical engineering degree from the University of Buenos Aires, and his Ph.D. from the University of Pennsylvania. He joined the Penn chemical engineering faculty in 1975, was promoted through the ranks, and served successively as the Patterson, Heuer and Bent Professor, as Chair of the Department from 1991 to 1994, and as Dean from 1998 to 2015, when he retired as the Nemirovsky Family Dean. He was also the Gulf Visiting Professor at Carnegie-Mellon University. Before arriving at Penn, he served as a researcher at the National Institute of Industrial Technology of Argentina. At Penn, Glandt received both the S. Reid Warren and the Lindback Awards for Distinguished Teaching. His research in thermodynamics, theories of liquids, interfacial phenomena and heterogeneous media earned him a number of recognitions, including the LaMer Award from the Surface and Colloid Science Division of the ACS. He is a member of the National Academy of Engineering and a fellow of the AAAS and the AIChE, from which he received the Van Antwerpen Award. He is Past Chair of the AIChE Foundation, a member of the board of the Science History Institute, and of the boards of the Hoover Medal and the Draper Prize. Abstract: As the pipelines of innovators continue to diversify across modalities, every company will face the challenge of both building needed capabilities for all modalities while maintaining their existing capacities and capabilities dedicated to any particular modality completely consumed by the current portfolio. In addition to this diversification, the productivity of more mature modality platforms is increasing significantly, driving current facilities to be under-utilized or in need of redesign. This inflection point will create the need for different partnership models among innovator companies and between innovator companies and contract manufacturing and laboratory organizations. Since owning everything will be a significant burden, the onus will be on each company to clearly delineate what it can manage and what it can access through these partnerships. In this talk we highlight progress of Biogen’s manufacturing platforms for anti-sense oligo nucleotides and for monoclonal antibodies given these realities. Speaker Biography: Paul McKenzie, Ph.D., is the Executive Vice President of Pharmaceutical Operations & Technology at Biogen and has served on the Executive Committee since July 2016. Dr. McKenzie is responsible for asset management, technical development, global manufacturing, supply chain operations, quality, and engineering. He also oversees construction and operation of Biogen’s advanced biologics manufacturing facility in Solothurn, Switzerland. Dr. McKenzie serves on board of directors for Samsung Bioepis. He joined the company in February 2016, as Senior Vice President for Global Biologics Manufacturing & Technical Operations. Prior to joining Biogen, Dr. McKenzie was most recently Vice President of R&D for Johnson & Johnson’s Ethicon business. During his tenure at J&J, he led the manufacturing and technical operations team, responsible for internal and external manufacturing of Janssen’s pharmaceutical portfolio as well as Global Development for Janssen R&D, helping to manage pipeline activities from discovery through clinical development and commercialization. He also held various R&D and manufacturing positions at Bristol-Myers Squibb and Merck. Dr. McKenzie holds a B.S. in Chemical Engineering from the University of Pennsylvania and a Ph.D. in Chemical Engineering from Carnegie Mellon University. He has served on numerous professional and academic boards, most recently Board of Trustees on the Illinois Institute of Technology and the Society for Biological Engineering. Abstract: In reflecting on our work over the last 40 years, I found that it was dominated by two themes: computation and uncertainty. In this talk, I will describe how the rapidly increasing computational resources have affected our approaches to deal with uncertainty in feedback control. The lecture will be illustrated by examples from process control and other application areas like automotive and power systems. Biography: Manfred Morari was head of the Department of Information Technology and Electrical Engineering at ETH Zurich from 2009 to 2012, and head of the Automatic Control Laboratory from 1994 to 2008. Prior to his time at ETH Zurich, he was the McCollum-Corcoran Professor of Chemical Engineering and Executive Officer for Control and Dynamical Systems at the California Institute of Technology. From 1977 to 1983, Dr. Morari was on the faculty of the University of Wisconsin. He obtained a bachelor’s degree from ETH Zurich and a doctoral degree from the University of Minnesota, both in chemical engineering. Dr. Morari’s interests are in constrained and robust control, and his research is internationally recognized. The analysis techniques and software developed in his group are used in universities and industry throughout the world. He has received numerous awards, including the Eckman Award, Ragazzini Award and Bellman Control Heritage Award from the American Automatic Control Council; the Colburn Award, Professional Progress Award and CAST Division Award from the American Institute of Chemical Engineers; and the Control Systems Technical Field Award and the Bode Lecture Prize from IEEE. He is a Fellow of IEEE, AIChE and IFAC. In 1993 he was elected to the U.S. National Academy of Engineering, and in 2015 to the UK Royal Academy of Engineering. Dr. Morari has also served on the technical advisory boards of several major corporations. Abstract: Chemical engineers have been at the forefront of the invention of computational algorithms enabling the molecular-based analysis of complex scientific and technical questions. Building upon a solid foundation in thermodynamics and statistical mechanics, these methods allow detailed microscopic scrutiny of a wide range of problems of interest in modern chemical engineering, thereby providing fundamental understanding and facilitating rational design. Dr. Debenedetti will illustrate the insights that can be gained from theory and computation by drawing on three examples from his own research: molecular-scale hydration phenomena, the behavior of proteins at low temperatures, and ice formation in the atmosphere. The implications of this work include pharmaceutical formulations, weather forecasting and the design of water-repellent surfaces. Biography: Pablo Debenedetti is the Class of 1950 Professor in Engineering and Applied Science, Professor of Chemical and Biological Engineering, and Dean for Research at Princeton University. He received his undergraduate education at the University of Buenos Aires, and his graduate education at the Massachusetts Institute of Technology, where he obtained M.S. (1981) and Ph.D. (1985) degrees in Chemical Engineering. He has been a faculty member at Princeton University since 1985. Prior to becoming Dean for Research, he served as Chair of the Chemical Engineering department (1996-2004), and Vice Dean of the School of Engineering and Applied Science (2008-2013). His research interests include the thermodynamics and statistical mechanics of liquids and glasses; water and aqueous solutions; protein thermodynamics; nucleation; metastability; and the origin of biological homochirality. Research in Debenedetti’s group has helped define the current state of basic knowledge on the properties of metastable liquids and glasses, and brought this vast field to the mainstream of chemical engineering thermodynamics. He is the author of one book, Metastable Liquids, and more than 230 scientific articles. Debenedetti’s professional honors include the National Science Foundation’s Presidential Young Investigator Award (1987), the Camille and Henry Dreyfus Teacher-Scholar Award (1989), a Guggenheim Memorial Foundation Fellowship (1991), the Professional Progress (1997), Walker (2008) and Institute Lecture (2013) Awards from the American Institute of Chemical Engineers, the John M. Prausnitz Award in Applied Chemical Thermodynamics (2001), and the Joel Henry Hildebrand Award in the Theoretical and Experimental Chemistry of Liquids from the American Chemical Society (2008). He received the Distinguished Teacher Award from Princeton’s School of Engineering (2008), and the President’s Award for Distinguished Teaching (2008), Princeton’s highest distinction for teaching. 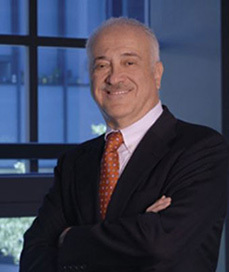 In 2008 Debenedetti was named one of 100 Chemical Engineers of the Modern Era by the American Institute of Chemical Engineers. He is a member of the National Academy of Engineering, the American Academy of Arts and Sciences, and the National Academy of Sciences, and is a fellow of the American Association for the Advancement of Science, the American Institute of Chemical Engineers and the American Physical Society. Abstract: British and American universities have common roots. These go back to the Enlightenment and beyond for older schools, such as Penn and Edinburgh, my other alma mater. More recently, there is a shared heritage in the development of educational opportunities for “the working man” towards the end of the 19th century (the working woman had rather longer to wait) through the land-grant institutions in the US, and corresponding – though more incremental – reforms in the UK. Today, mid-way through the second decade of the 21st Century, there is still much that connects us. We have a shared understanding of the relationship between the educational experience we offer and the values of the liberal democracies we inhabit – though the frontiers of liberal education require, as always, to be patrolled. During the 20th century, we developed ways of working that combined – that is, reconciled, or at least managed the tension between – competing concepts of the university as a community of scholars and as an economic enterprise. And both countries delivered, with the US taking a lead through the GI Bill, a massive expansion of higher education, which sustained economic development, made possible the knowledge economy and – most fundamentally – transformed hundreds of millions of lives. In the last few decades of the 20th century, the two systems began to diverge in significant ways, reflecting evolving concepts of the role of the state, differences in the status of university faculty as a professional group (tenure was abolished in the UK in 1987) and differing public expectations. This divergence continues today, in tension with our shared cultural values and an increasingly interconnected market for the “outputs” of higher education – notably in research. My presentation will be a tour through this territory. On this tour, we will be looking through some lenses. Some will be telescopic (such as higher-education policy) and some microscopic (academic chemical engineering). Some will be more personal than others. As with all tours, I hope to inform, perhaps to entertain a little, and to generate some interesting discussion. Biography: Professor Nigel Seaton began his academic career at the University of Edinburgh, where he gained a BSc in Chemical Engineering in 1982, having spent his junior year as an exchange student at the University of Pennsylvania. He returned to Penn to do a PhD in Chemical Engineering, working with Eduardo Glandt on the statistical mechanics of colloidal dispersions. After completing his PhD, Professor Seaton returned to the UK and worked initially as a research engineer in the oil industry, mostly with BP. In 1989 he resumed his academic career on his appointment as a Lecturer in Chemical Engineering at the University of Cambridge, where he was also a Fellow of Clare College. He was a visiting professor at Cornell University in the academic year 1996-97. In 1997, Professor Seaton returned to the University of Edinburgh as Professor of Interfacial Engineering. Between 1998 and 2007, he was successively Head of the School of Chemical Engineering, Head of the Division of Engineering, Head of the Institute for Materials and Processes, and Dean of Undergraduate Studies in the College of Science and Engineering. In 2007, he became a Vice-Principal of the University of Edinburgh and from 2008 to 2012 served as Senior Deputy Vice-Chancellor at the University of Surrey. In 2012, Professor Seaton was appointed Principal of Abertay University. Nigel Seaton’s research interests are in the area of adsorption and transport in porous materials, focusing particularly on the development of methods for material design, and on the prediction of material performance in industrial applications. Professor Seaton is a Fellow of the Royal Academy of Engineering, and a Fellow of the Institution of Chemical Engineers. Abstract: Since Watson and Crick’s 1953 landmark discovery that biological information was encoded in DNA as a sequence of chemical building-block “letters”, developing technology for reading—or “sequencing”—this chemical code has been fundamental to advances in biology and medicine. Techniques that first enabled this were invented by Sanger in 1978, and were taken to massively parallel form by 454 Life Sciences in 2003 (1). This ushered in the current or “next-gen” era of genome sequencing technologies for research, medicine, and the emerging field of Genomic Personalized Medicine, in which healthcare is more fully informed by the individuals’ personal genetic makeup. Five years after the Human Genome Project, very little had changed in sequencing technology until my team at 454 Life Sciences pioneered and was first to commercialize sample preparation by limiting dilution, and massively parallel sequencing on a solid substrate. These central ideas — inspired by the “monolithic idea” of Robert Noyce and Jack Kilby – made large-scale sequencing affordable, and became the foundation of all next-gen sequencing technologies. If Sanger was the mainframe of sequencing, 454 was the minicomputer – smaller and faster and establishing the key guiding technical principals. To further scale, reduce cost and democratize the technology I turned back to the developments of Noyce and Moore, and developed the first semiconductor based, post-light, sequencing technology to make it truly personal. We demonstrated this by sequencing the genome of Gordon Moore of Moore’s law fame (2). This technology, in the form of a single-use, disposable chip, is the core of the Ion Torrent DNA sequencing platform. This is the first semiconductor device capable of performing DNA sequencing, and the use of a scalable CMOS chip architecture allows for radical levels of economic scaling, and convenient new formats (from desktop to portable). Genome sequencing in micro-fabricated high-density picolitre reactors. Nature. 2005 Sep 15; 437(7057): 376-80. An integrated semiconductor device enabling non-optical genome sequencing. Nature. 2011 Jul 20; 475(7356): 348-52. Biography: Dr. Jonathan Rothberg is best known for inventing high-speed, massively parallel DNA sequencing. He subsequently founded 454 Life Sciences, bringing to market the first new method for sequencing genomes since Sanger and Gilbert won the Nobel Prize in 1980. He led the effort to complete the first sequence of an individual human genome (James D. Watson’s genome). He also initiated the Neanderthal Genome Project, in collaboration with Dr. Svante Paabo. Under his tenure, 454 Life Sciences worked with collaborators to crack the mystery behind the disappearance of the honey bee, uncover a new virus killing transplant patients, and elucidate the extent of individual human variation—work recognized by Science magazine as the breakthrough of the year for 2007. The New England Journal described Dr. Rothberg’s sequencing innovation as “The New Age of Molecular Diagnostics for Microbial Agents.” Science magazine called it one of the top 10 breakthroughs for 2008. His contribution to sequencing, include both the first non-bacterial cloning systems (cloning by limited dilution), as well as the first massively parallel DNA sequencing method (sequencing by synthesis on a single substrate in parallel), have formed the basis for all subsequence next generation sequencing technologies. Dr. Rothberg went on to invent semiconductor chip-based sequencing, and sequenced Gordon Moore as the first individual to be sequenced on a semiconductor chip (as published in Nature), and the first post-light Genome. In October 2010, Ion Torrent was acquired by Life Technologies for $725 million, the largest acquisition in the history of sequencing technology. In addition to founding 454 Life Sciences and Ion Torrent, Dr. Rothberg was the founding CEO & Chairman of CuraGen Corporation, RainDance Technologies, and Clarifi Corporation. Dr. Rothberg was born in 1963 in New Haven, Connecticut. He earned a B.S. in chemical engineering with an option in biomedical engineering from Carnegie Mellon University and an M.S., M.Phil, and Ph.D. in biology from Yale University. He is the first person to be named a World Economic Forum’s Technology Pioneer three separate times, is an Ernst and Young Entrepreneur of the Year and received The Wall Street Journal’s First Gold Medal for Innovation. He received Nature Methods First Method of the Year Award, and The Irvington Institute’s Corporate Leadership Award in Science, and the Connecticut Medal of Technology. For his invention of massively parallel DNA sequencing and initiation of the Neanderthal Genome Project Jonathan was awarded the DGKL Biochemical Analysis Prize, and received and Honorary Doctorate of Science from Mount Sinai School of Medicine. Jonathan is a member of the National Academy of Engineering, the Connecticut Academy of Science and Engineering, and is a life trustee of Carnegie Mellon University. Abstract: Today more than ever, Engineering is about creation. Engineers design things for a particular purpose that creates a benefit. There is a strong societal desire for sources of energy and feedstocks that can support a high standard of living for all. Thermodynamic, material and economic challenges stand in the way, yet most of the general public do not have the basic understanding of the energy flows, chemical transformations, and the scale of the systems that support our current way of life. Engineers must be on the vanguard of separating hype from truly practical options. Practical limitations were ignored as the development of cellulosic ethanol rode a wave of optimism and hype earlier in this decade. It is now clear that cellulosic ethanol is not delivering on the promises made, leading the cellulosic community to move into “high value chemicals”. The pivot to chemicals fails to address the large challenges targeted by cellulosic fuels and, upon inspection, fails to create the societal value that proponents cite. Announcements occur daily of some new energy related technology touted by the scientists that discovered as something that could possibly revolutionize energy. Much of what is shown to be possible will never be practical. As engineers, we must do a better job explaining the difference between the subset of discoveries that offer practical solutions from those that are simply possible. Focusing efforts on those technologies capable of yielding practical solutions to pressing issues is our responsibility. Biography: William F. Banholzer is an Executive Vice President leading Dow’s Venture Capital, New Business Development, and Licensing activities, and is also Dow’s Chief Technology Officer. Banholzer chairs the Innovation and New Business Development Committee which oversees investments in new technologies and major business initiatives. In addition, he is a member of the Board of Directors for the Dow Corning Corporation, serving on the Corporate Responsibility Committee. Banholzer also serves on the Dow Kokam Board of Directors, Dow AgroScience’s Members Committee and the Dow Foundation Board of Directors. Banholzer manages a portfolio of research programs with an annual budget of $1.7B. He sets the vision for science and technology at Dow and leads the execution of that vision. Under his leadership the value of Dow’s innovation pipeline has tripled from $10B to over $32B. Banholzer’s efforts to accelerate Dow’s technology development were recognized by R&D Magazine, where Dow was ranked in the top ten for R&D in all industries, and a recent Booz Allen study ranked Dow’s innovation portfolio management as “Best in Class.” Banholzer also received the Industrial Research Institute’s Holland Award for R&D management and the Council of Chemical Research’s Pruitt Award for his innovative approach to research collaborations. Banholzer has a strong history of technical excellence and innovation, spanning his more than 25 years of industrial experience. He was elected to the U.S. National Academy of Engineering in 2002, a reflection of the significance of his technical contributions. He has been an active NAE member, one of only 175 members of the Chemical Engineering section. In 2006 he was elected by the Academy membership to serve a 3 year term as one of 12 councillors comprising the governing body of the NAE. Banholzer currently serves on the Board on Energy and Environmental Sciences. He also serves on the advisory board for chemistry and chemical engineering at UC Berkeley, the Chemical Engineering Advisory Board at University of Wisconsin, the American Chemical Society President’s Commission on Chemical Education, and the MIT Visiting Committee on Chemistry and Chemical Engineering. He is a member of the American Chemical Society and the American Institute of Chemical Engineers. Banholzer had a 22-year career with General Electric Company (GE) prior to joining Dow. He left GE as vice president of Global Technology at GE Advanced Materials, where he was responsible for worldwide technology and engineering. He joined GE in 1983 as a staff chemical engineer in the company’s Corporate Research and Development Laboratory where he held several leadership positions prior to joining the Superabrasive business. Banholzer was elected a company officer and moved to GE Lighting as vice president of Global Engineering in 1997. He transferred to GE’s Advanced Materials business as the vice president of global technology in 1999. During his GE career, Banholzer was honored with GE’s Bronze, Silver, and Gold Patent Awards; GE Superabrasives’ Leadership Award; GE Plastics’ CEO Six Sigma Award; and election to the Whitney Gallery of Technical Achievers. Banholzer earned a bachelor’s degree in chemistry from Marquette University and master’s and doctorate degrees in chemical engineering from the University of Illinois. He is a certified Six Sigma Master Black Belt, holds 16 U.S. patents and has over 80 publications, which have received 2,300 citations with an H index of 27 for his work in engineering and chemistry. Abstract: This presentation covers two new facilitated transport membranes: (1) carbon dioxide-selective membranes for CO2 separation and hydrogen purification for fuel cells and (2) supported liquid membranes (SLMs) with strip dispersion for recovery of antibiotics. We have synthesized CO2-selective membranes by incorporating amino groups into polymer networks. The membranes have shown high CO2 permeability and selectivity vs. hydrogen, carbon monoxide and nitrogen up to 180°C. Hydrogen sulfide permeates through the membrane much faster than CO2, allowing H2S removal in the treated synthesis gas before water-gas-shift (WGS) reaction. Our initial experiments have shown a nearly complete removal of H2S from 50 ppm in synthesis gas to about 10 ppb in the hydrogen product. Using the membrane, we have obtained <10 ppm carbon monoxide in the hydrogen product in WGS membrane reactor experiments via CO2 removal. The data have been in good agreement with our modeling predictions. We also removed CO2 from a syngas containing 17% CO2 to <30 ppm and obtained >98% CO2 in the acid gas stream for sequestration. On SLMs with their stability ensured using strip dispersion, Cephalexin has been extracted and concentrated with high recovery. A mass transfer analysis has shown that the resistance from the extraction reaction is dominant. Initial results from a 4-component feed mixture derived from its enzymatic synthesis have shown selective Cephalexin recovery possible. This allows Cephalexin recovery from the mixture in conjunction with complexation without enzyme deactivation, which commonly occurs when complexation is conducted in enzymatic reaction mixtures. Biography: Dr. W.S. Winston Ho is University Scholar Professor in the William G. Lowrie Department of Chemical and Biomolecular Engineering and the Department of Materials Science and Engineering at the Ohio State University. Before teaching for 12 years, he had over 28 years of industrial R&D experience in membranes and separation processes, working for Allied Chemical, Xerox and Exxon, and serving as Senior Vice-President of Technology at Commodore Separation Technologies. He was elected to the National Academy of Engineering, USA in 2002 – one of several of John Quinn’s advisees to enjoy this distinction. A New Jersey Inventor of the Year (1991), Dr. Ho holds more than 50 U.S. patents, generally with foreign counterparts, in membranes and separation processes. He is Co-editor of Membrane Handbook, recipient of the Professional and Scholarly Publishing Award for the most outstanding engineering work in 1993. He received the 2006 Institute Award for Excellence in Industrial Gases Technology from the American Institute of Chemical Engineers (AIChE), and he was the 2007 recipient of the Clarence G. Gerhold Award from the AIChE Separations Division, one of the highest honors bestowed to those working on separations. He obtained his B.S. degree in Chemical Engineering from National Taiwan University and his M.S. and Ph.D. degrees also in Chemical Engineering from the University of Illinois at Urbana-Champaign, where he was John Quinn’s last student. Dr. Ho’s research interests have included molecularly based membrane separations, fuel-cell fuel processing and membranes, water purification, reverse osmosis, separations with chemical reaction, facilitated transport, and transport phenomena in membranes. Abstract: The design of nanoengines that can convert stored chemical energy into motion is a key challenge of nanotechnology, especially for engines that can operate autonomously. Recent experiments have demonstrated that it is possible to power the motion of nanoscale and microscale objects by using surface catalytic reactions – so-called catalytic nanomotors. The precise mechanism responsible for this motion is not known, although a number of ideas have been put forth. Here, a very simple mechanism is proposed: osmotic propulsion. A surface chemical reaction creates local concentration gradients of the reactive and product species which generate a net osmotic force on the motor. The concentration distributions are governed by the ratio of the surface reaction velocity and the diffusion velocity of the reactants. For slow reactions the reaction velocity determines the self-propulsion. When surface reaction dominates over diffusion the osmotic velocity cannot exceed the diffusive speed of the reactants. The implications of these features for different reactant concentrations and motor sizes are discussed. Theoretical predictions are compared with Brownian Dynamics simulations. Through osmotic propulsion the motor is able to harness the ever-present random thermal motion via a chemical reaction to achieve directed autonomous motion. Biography: John F. Brady is the Chevron Professor of Chemical Engineering and Professor of Mechanical Engineering at the California Institute of Technology. He received his BS in chemical engineering from the University of Pennsylvania in 1975 and spent the next year at Cambridge University as a Churchill Scholar. He received both an MS and PhD in chemical engineering from Stanford University, the latter in 1981. Following a postdoctoral year in Paris at the Ecole Superiéure de Physique et de Chimie Industrielles, he joined the Chemical Engineering department at MIT. Dr. Brady moved to Caltech in 1985, where he has remained ever since, serving as department chairman from 1993-1999. Dr. Brady’s research interests are in the mechanical and transport properties of two-phase materials, especially complex fluids such as biological liquids, colloid dispersions, suspensions, porous media, etc. His research takes a multilevel approach and combines elements of statistical and continuum mechanics to understand how macroscopic behavior emerges from microscale physics. He is particularly noted for the invention of the Stokesian Dynamics technique for simulating the behavior of particles dispersed in a viscous fluid under a wide range of conditions. Dr. Brady has been recognized for his work by several awards, including a Presidential Young Investigator Award, a Camille and Henry Dreyfus Teacher-Scholar Award, the ASEE Curtis W. McGraw Research Award, the Corrsin and Batchelor lectureships in fluid mechanics, the Professional Progress Award of the American Institute of Chemical Engineers, and the Bingham Medal of the Society of Rheology. He has held positions as the Juliot-Curie Professor at ESPCI in Paris and the J.M. Burgers Professor at Twente University in the Netherlands. Dr. Brady was an associate editor of the Journal of Fluid Mechanics from 1990-2005 and is currently the editor of the Journal of Rheology. He is a fellow of the American Physical Society and a member of the National Academy of Engineering. Abstract: Of the many wonders of biological systems, one must certainly include cell membranes – one of the most elegant and versatile packaging materials known to mankind. With amazing material properties, these strong, deformable, semi-permeable, self-healing thin films are merely the thickness of two phospholipid molecules. While many, if not most, other biological wonders are far too complicated to imitate, basic membrane structures can be readily created in the laboratory – quite a testament to the power of molecular self-assembly. In fact, the relative ease of creating closed membrane structures, such as vesicles made from phospholipids and synthetic “polymersomes” made from diblock copolymers, offers amazing building materials for more advanced structures and superstructures. Such is the motivation for the work in our laboratory, which designs advanced membrane structures for new applications, and also as platforms for fundamental biological investigations. In this talk I will describe our progress on creating and using novel structures made of vesicles, polymersomes, and hybrids of the two. Many of our structures are created by exploiting molecular interactions of biological molecules beyond nature’s design: for example, we use DNA as molecular glue for assembly purposes and we take advantage of phase separation of lipid mixtures to engineer anisotropic systems. Biography: T. Kyle Vanderlick is the Dean of the School of Engineering & Applied Science at Yale University and the Thomas E. Golden, Jr. Professor of Engineering. She received her B.S. (’81) and M.S. (’83) degrees in chemical engineering from Rensselaer Polytechnic Institute, and her Ph.D. (’88) from the University of Minnesota. After a one year NATO post-doctoral fellowship at the University of Mainz in Germany, she joined the faculty in chemical engineering at the University of Pennsylvania in 1989. In 1998 she joined Princeton University and became Chair of the Department of Chemical Engineering in 2004. In January 2008, Vanderlick took the helm as Dean of Engineering at Yale University. Noted for her research in interfacial phenomena, currently centered on biological and synthetic membrane-based materials, Vanderlick received the Presidential Young Investigator Award (’89) as well as the prestigious David and Lucile Packard Fellowship (’91). She is also the recipient of numerous teaching awards including the highest such honors at both Penn (1993 Christian R. and Mary F. Lindback Award for Distinguished Teaching) and Princeton (2002 President’s Award for Distinguished Teaching). As Dean of Engineering, she led the establishment of the new Yale School of Engineering & Applied Science, and is directing new initiatives in both teaching and research to shape the School’s distinctive identity and its premier role in engineering education. Abstract: Chemical Engineering was born in the late 19th century from the rapidly expanding sciences of physical and synthetic chemistry and the need for new type of engineer who was prepared to apply these principles to the burgeoning petrochemical and energy industries. From this beginning chemical engineering has evolved into one of the premier engineering disciplines, with a rich history of both academic and industrial impact. Industrially, the modern methods of manufacturing of carbon-based fuels and bulk petrochemicals owe their development to chemical engineers, as do the processes for specialty chemicals, pharmaceuticals, and polymers. In the last quarter century, the impact of chemical engineering has become increasingly diversified into other applications, such of optoelectronic materials and devices, environmental remediation, biotechnology, and human health. Simultaneously our academic emphases have shifted toward the applied sciences and away from the engineering principles that formed the roots of the discipline. A decade into the 21st century, is an opportune time to ask the question, are chemical engineers as relevant today as in our past? After a brief review of the history of chemical engineering, I will attempt to answer this question and will offer some advice for maximizing our impact going forward. Biography: Dr. Robert A. Brown, a distinguished scholar of chemical engineering and an innovative leader in higher education, became the tenth president of Boston University in September 2005. A native of Texas, he earned B.S. and M.S. degrees in chemical engineering at the University of Texas at Austin, and his Ph.D. in chemical engineering from the University of Minnesota. As president of Boston University, Dr. Brown has emphasized the strengthening of undergraduate education, graduate and professional education, interdisciplinary work, and research and scholarship across the entire university. He initiated a strategic planning process that culminated in a plan that defines a number of goals to be met over a ten-year period in order to establish Boston University as one of the great large private research universities in the world. Prior to his appointment at Boston University, Dr. Brown was provost and Warren K. Lewis Professor of Chemical Engineering at the Massachusetts Institute of Technology. He has published over 250 papers in areas related to mathematical modeling of transport phenomena in materials, and served as executive editor of the Journal of Chemical Engineering Science from 1991 to 2004. Dr. Brown is a member of the American Academy of Arts and Sciences, the National Academy of Engineering, and the National Academy of Sciences, among other professional societies. He has served on the President’s Council of Advisors on Science and Technology, and currently is a director of the DuPont Company and a trustee of the Aalto University Foundation in Finland. Dr. Brown is chairman of the Academic Research Council of the Ministry of Education of the Republic of Singapore, a key funding body for academic research in that country, and he also serves on the Board of Singapore’s National Research Foundation. Abstract: Humans have embarked on an environmental experiment of unprecedented proportions. That emissions of greenhouse gases owing to human activity have caused an increase in the earth’s temperature is incontrovertible. Annual emissions of carbon dioxide now exceed 8 Gigatons of carbon, and the global CO2 concentration is increasing at a rate of 2 parts-per-million yearly. Most of the increase of CO2 in the air today, relative to pre-industrial times, is a result of burning fossil fuels. About one-fifth of the CO2 emitted today will remain in the atmosphere for 1000 years. For the past 30 years the planet has been warming at a rate of about 0.2 oC per decade. And the earth is out of energy balance by between 0.5 and 1 W/m2, which means that an additional warming of about 0.5 oC is “in the pipeline” even if greenhouse gas emissions were to be stabilized at today’s values. The ability to simulate observed temperature trends and therefore to project into the future is hampered by uncertainties, most notably associated with the role of particles (aerosols) in the air. This talk will discuss the scientific foundation of global climate change and address the role of aerosols in present and future climate. Biography: John H. Seinfeld is the Louis E. Nohl Professor in the Divisions of Chemistry and Chemical Engineering and Engineering and Applied Science at the California Institute of Technology. He is a graduate of the University of Rochester, where he received a B.S. degree in chemical engineering, and of Princeton University, where he received a Ph.D. in chemical engineering. Professor Seinfeld is widely acknowledged for his research on the chemistry and physics of the atmosphere. Through both experimental and theoretical studies, he has made numerous contributions to our knowledge of the chemistry of the urban atmosphere, the formation, growth, and dynamics of atmospheric aerosols, and the role of aerosols in climate. Professor Seinfeld has received numerous honors and awards. He is a member of the U.S. National Academy of Engineering and a Fellow of the American Academy of Arts and Sciences. He received the 1970 Donald P. Eckman Award of the American Automatic Control Council, a 1972 Camille and Henry Dreyfus Foundation Teacher-Scholar Grant, the American Society for Engineering Education’s Curtis W. McGraw Award (1976) and George Westinghouse Award (1987), the American Institute of Chemical Engineers Allan P. Colburn Award (1976), Institute Lectureship (1980), William H. Walker Award (1986), and Warren K. Lewis Award (2000). He received the 1980 NASA Public Service Award and a Special Creativity Award from the National Science Foundation. He is the recipient of the 1993 American Chemical Society Award for Creative Advances in Environmental Science and Technology and the 2001 Nevada Medal. Professor Seinfeld received the Fuchs Award of the International Aerosol Research Assembly in 1998, an award given every four years and considered the highest honor bestowed for work in the field of aerosol science. He is a Fellow of the American Association for the Advancement of Science, the American Institute of Chemical Engineers, and the American Geophysical Union. He was President of the American Association for Aerosol Research. He has received the University of Rochester’s Distinguished Alumnus Award. He was chairman of the NASA Working Group on Scientific Research Objectives in Tropospheric Pollution and served on the EPA Clean Air Scientific Advisory Committee and the NASA Advisory Council. He was chairman of the National Research Council Committee on Tropospheric Ozone Formation and Measurement and of the NRC Panel on Aerosol Radiative Forcing and Climate. He served as Vice Chair of the NRC Committee on Atmospheric Chemistry. Professor Seinfeld is the author of numerous scientific papers and books, including Atmospheric Chemistry and Physics: From Air Pollution to Climate Change (1998; second edition, 2006). He is the recipient of honorary doctorates from the University of Patras (Greece) and Carnegie Mellon University. Abstract: Sepracor Inc., a venture-capital-funded start-up co-founded by the author in 1984, has subsequently grown to be a profitable specialty pharmaceutical company with a market capitalization of order $6 billion, annual revenues of $1 billion, and a payroll numbering over two thousand. Although one would hardly surmise it from the company’s current portfolio of self-marketed or licensed pharmaceutical products including LunestaTM, Xopenex, Allegra, and Clarinex, Sepracor was originally organized to commercialize the author’s thesis research at Penn with John Quinn on enzyme membrane reactors for the optical resolution of racemic mixtures of chiral drugs. The company’s initial business model contemplated selling an array of bench-, pilot-, and process-scale membrane reactor modules and systems to pharmaceutical companies and their suppliers. The capstone of this effort was the installation and operation in Japan of a commercial-scale membrane reactor plant that produced 75 metric tons per year of the key chiral intermediate used in making diltiazem (Cardizem), a calcium channel blocker indicated for hypertension and angina. Most of the diltiazem produced during the early-to-mid ’90s was made using Sepracor’s membrane reactors – an achievement realized in large measure due to the efforts of yet another John Quinn advisee, Dr. Jorge Lopez. And yet the company never repeated this success, nor does it practice the technology today! Sepracor’s original suite of membrane products has been supplanted by a porfolio of pure-isomer and active-metabolite drugs. What accounts for this? Should Sepracor’s experience be regarded as a success or a failure from the standpoint of commercializing membrane reactors? Should its membrane reactor technology be viewed as a “one-trick pony” – or as a pioneering application of a promising platform technology? What technical and business lessons can be learned from this, and what are their implications for others aspiring to take emerging chemical technologies to market? Are they still not teaching you something at Penn? Biography: Dr. Stephen Matson is currently engaged in starting ConTechs Associates Inc., a non-profit seeking to execute societally meaningful engineering projects in developing countries through teams comprised of engineering students and their professors in those countries working collaboratively with engineering volunteers from the U.S. ConTechs’ operations to date have focused on Bolivia and the application there of so-called “appropriate chemical technologies” – e.g., the production of biofuels and the conversion of natural gas to diesel via relatively low-capital-cost processes. Although Dr. Matson insists that ConTechs is his first intentionally not-for-profit enterprise, during his largely industrial career he has co-founded or advised several other technology start-ups – some profitable, others not. In 1984 he co-founded Sepracor to commercialize earlier PhD research with John Quinn at Penn on enzyme membrane reactors as applied to chiral separations; Sepracor is now a profitable mid-cap company focused on developing and marketing improved single-isomer pharmaceuticals. He has participated in other start-up ventures in fields as diverse as combinatorial chemistry, biochromatography, blood filtration, and high-throughput DNA sequencing. He consults in the areas of bioseparation and biocatalysis, membranes and membrane processes – especially those involving functional membranes — and intellectual property management. Dr. Matson received his BS and MS in Chemical Engineering from Cornell (1971 and 1974) and his PhD from Penn in 1979. A registered professional engineer, he has worked in companies with as few as two and as many as 30,000 employees. Previous employers include GE R&D (1973-82), Bend Research (Director of Research, 1982-84), and Worcester Polytechnic Institute (Francis Manning Professor of Chemical Engineering, 2001-03). Dr. Matson has fifty journal articles, book chapters, and issued U.S. patents to his credit. Service to the profession includes terms as director of the American Institute of Chemical Engineers, president and director of the North American Membrane Society, and J. Memb. Sci. editorial board member. Dr. Matson is a recipient of AIChE’s Professional Progress Award and a Fellow of the American Institute for Medical and Biological Engineering. In 1995 he was elected to the National Academy of Engineering — one of several John Quinn advisees to enjoy this distinction. Abstract: Cell behavioral functions are governed by biomolecular networks that translate stimulatory cues (e.g., ligand/receptor binding interactions, mechanical stresses, pathogen infection, and other environmental insults) into intracellular signals which regulate transcriptional and post-transcriptional, metabolic, and cytoskeletal processes that effect proximal and ultimate cell responses. While there is a growing body of work enhancing our understanding of how intracellular signals are generated by stimulatory cues, an exceptionally difficult challenge at the present time is to understand how these signals operate in integrated manner to govern cell behavioral responses. We are undertaking efforts to address this question by means of a combination of quantitative, dynamic protein-centric experimental manipulations and measurements with a spectrum of computational mining and modeling approaches. Particular application problems of our interest include cell migration, proliferation, differentiation, and death, with an emphasis on ascertaining how effectiveness of prospective therapeutics might be predicted. This talk will present an overview of our perspective and approach, along with a specific example vignette. Biography: Douglas A. Lauffenburger is Uncas & Helen Whitaker Professor of Bioengineering and Director of the Biological Engineering Division at MIT, and also holds appointments in the Department of Biology and the Department of Chemical Engineering. He is a member of the Biotechnology Process Engineering Center, Center for Biomedical Engineering, Center for Cancer Research, and Center for Environmental Health Sciences, and serves on the Executive Committee of the Computational & Systems Biology Initiative. Dr. Lauffenburger’s BS and PhD degrees are in chemical engineering from the University of Illinois and the University of Minnesota, in 1975 and 1979 respectively. He served on the faculty at the University of Pennsylvania 1979-1989 and the University of Illinois 1990-1994 before moving to MIT. His major research interests are in cell engineering: the fusion of engineering with molecular cell biology. A central focus of his research program is in receptor-mediated cell communication and intracellular signal transduction, with emphasis on development of predictive computational models derived from quantitative experimental studies, for cell cue/signal/response relationships important in pathophysiology with application to drug discovery and development. Lauffenburger has coauthored a monograph entitled Receptors: Models for Binding, Trafficking & Signaling, published by Oxford University Press in 1993 and reprinted in 1996. More than 70 doctoral students and postdoctoral associates have completed their training under his supervision or co-supervision. Prof. Lauffenburger has served as a consultant or scientific advisory board member for Astra-Zeneca, Beyond Genomics, CellPro, Eli Lilly, Entelos, Genstruct, Insert Therapeutics, Johnson & Johnson, Merrimack Pharmaceuticals, Pfizer, Precision Therapeutics, SyStemix, the Burroughs-Wellcome Fund, and the Whitaker Foundation. His awards include the A.P. Colburn Award, Bioengineering Division Award, and W.H. Walker Award from AIChE, the Distinguished Lecture Award from BMES, the C.W. McGraw Award from ASEE, the Amgen Award in Biochemical Engineering from the Engineering Foundation, and a J.S. Guggenheim Fellowship, along with a number of named lectures at academic institutions. He is a member of the National Academy of Engineering and of the American Academy of Arts & Sciences, and has served as President of the Biomedical Engineering Society, Chair of the College of Fellows of AIMBE, and on the Advisory Council for the National Institute for General Medical Sciences at NIH. Abstract: Interest in replicating, cheaply and easily, patterns carved into a silicon wafer by electron beam lithography motivated a simple mechanical process, known as nanoimprint (Chou, Princeton) or soft lithography (Whitesides, Harvard). This consists of pressing a mask carrying the pattern of interest (and coated with a mold release agent) against a second unpatterned wafer bearing a thin spin-coated layer of polymer and heating this sandwich above the glass transition temperature of the polymer. Cooling back to ambient conditions, after allowing the polymer to flow into conformation with the pattern, and separating the wafers yields a faithful replica of features smaller than ten nanometers. Practical implementation of this technique is now well advanced. Along the way, though, a number of other intriguing phenomena have been discovered, demonstrating that well-established laws of physics can still yield surprising outcomes at less familiar (colloidal) length scales. Two of these will be described in this talk. The first is initiated when the mask described above fails to contact the polymer film, leaving an air gap of a few hundred nanometers. Electric fields, either natural or imposed, exert a force on the polymer-air interface, placing the film in either tension or compression. This static equilibrium is unstable to disturbances with wavelengths for which the electrostatic force overcomes the surface tension. Flow ensues, generating a periodic pattern that varies according to the nature of the mask, the ratio of the film thickness to the gap, and a number of other parameters. With unpatterned wafers triangular arrays of pillars (or holes), rosettes, or concentric rings can emerge. The second was discovered while attempting to reduce the spacing between pillars on unpatterned wafers down to the nanoscale. Our strategy was to decease the interfacial tension by filling the air gap with a second polymer layer. Separating the two wafers, neither of which was coated with the mold release agent, after heating and cooling revealed large areas covered with parallel lines, rather than the hexagonal arrays of pillars expected. Simplifying the geometry to a single polymer layer between two flat wafers produced the same result. Varying the separation produced spacings between the lines consistently equal to four times the layer thickness. Here an instability driven by elastic stresses generated while prying the wafers apart produces fractures that propagate with beautiful regularity into the film. Biography: William B. Russel is the A.W. Marks ’19 Professor in the Department of Chemical Engineering and Dean of the Graduate School at Princeton University. He joined the faculty at Princeton in 1974 after BA and MChE degrees from Rice University (where he also played baseball), a PhD from Stanford, and a NATO Postdoctoral Fellowship in the Department of Applied Mathematics and Theoretical Physics at Cambridge University. At Princeton he has served as chairman of Chemical Engineering and director of the Princeton Materials Institute and pursues research in the field of complex fluids. His research includes studies of the crystallization of colloidal dispersions (akin to the formation of opals) in microgravity aboard the Space Shuttle, theory and fabrication of micro-patterns in thin polymer films, and laboratory experiments on the drying and cracking of paint. He is the author or coauthor of two books, the Dynamics of Colloidal Systems and Colloidal Dispersions. Sabbaticals have taken him to the Australian National University, the University of Wisconsin, Bristol University, Twente University, and Utrecht University. He and his wife Priscilla, who has taught Spanish in the middle school in Princeton and is now the supervisor of World Languages, have two sons Daniel (Princeton ’99), now completing a PhD in computer science at Stanford, and Bailey (Princeton ’01), who spent a year in Malaysia with Princeton in Asia and is now completing a Master of Arts program at New York University and the International Center for Photography. They currently reside in Wyman House, built in 1913 adjacent to the Graduate College at Princeton as the home of the dean. Abstract: Electrokinetics (sometimes referred to as electrohydrodynamics) is a set of phenomena where an electric field and fluid momentum are coupled. For example, an electric field moves a charged particle through a liquid (electrophoresis), or it moves the liquid past a stationary charged interface (electroosmosis). Until recently, research into electrokinetic phenomena was focused on uniformly charged systems, e.g., a spherical particle with a uniform charge density on its surface, but over the past fifteen years more attention has been paid to complex geometries and charge distributions. Here I will talk about particle and fluid motions that result when an electric field interacts with surfaces that have nonuniform charge. Examples include electrophoretic rotation and alignment of particles, circulatory liquid flows in nonuniformly charged capillaries and cavities, and electroosmotic-driven self assembly of particles on electrodes. Such phenomena are relevant to alignment of particles in suspension, microfluidics, and patterning surfaces with colloidal particles. Biography: John L. Anderson is Dean of the College of Engineering (1996 – present) and University Professor of Chemical Engineering at Carnegie Mellon University. He received his BChE degree from the University of Delaware and PhD in Chemical Engineering from the University of Illinois. He served on the faculty of Cornell University for five years before joining the faculty at Carnegie Mellon University in 1976. Between 1980-85 he was Director of Biomedical Engineering, and 1983-94 he was Head of the Chemical Engineering Department at Carnegie Mellon. Dr. Anderson is a member of the National Academy of Engineering and has chaired the section for Chemical Engineering. He is a Fellow of the American Association for Advancement of Science (AAAS) and the American Institute of Medical and Biological Engineering. He received the Professional Progress Award of the American Institute of Chemical Engineers, and other recognition including a John Simon Guggenheim Fellowship, the Outstanding Professional Accomplishments Award of the Pittsburgh Section of AIChE, election to the Wall of Fame at the University of Delaware, and co-author of “Best Technical Paper” at an annual AIChE meeting. He has presented the Berkeley Lectures at University of California, the Lacey Lectures at Cal Tech, the Holtz Lecture at Johns Hopkins, the Dodge Lecture at Yale, and the Katz Lecture at City College NY. Dr. Anderson has held visiting professorships at MIT, University of Melbourne and Landbouwuniversiteit Wageningen (the Netherlands). He has served as member and co-chair on the Board of Chemical Sciences and Technology at the National Research Council (1996-2001). He recently co-chaired the NRC sponsored workshops on Challenges for the Chemical Sciences in the 21st Century: National Security and Homeland Defense and Review of Existing and Potential Standoff Explosives Detection Technology. He is the author of more than 100 journal articles and book chapters. Dr. Anderson is an associate editor of Industrial and Engineering Chemistry Research and is or has been a member of advisory boards at 13 universities. He is currently Vice-Chair of the national Engineering Deans Council. 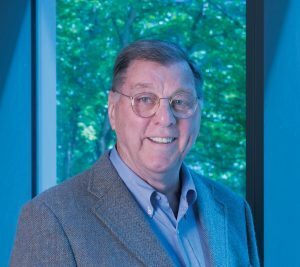 John Quinn’s distinguished career in chemical and biomolecular engineering spanned over fifty years, during which he played a leadership role in research, education, and institutional and professional service. In the course of his pioneering research on mass transfer and interfacial phenomena, Dr. Quinn and his students devised a number of simple yet elegant experiments to elucidate the role of the interface in transfer between phases. In later years, his work focused on problems relating to bioengineering and biotechnology, to transport through synthetic membranes, and to the application of membranes in chemical processes and in systems of medical and biological relevance. He is author or co-author of about one hundred research papers and review articles. Dr. Quinn received his B.S. degree in Chemical Engineering from the University of Illinois in 1954 and his Ph.D. from Princeton University in 1958, when he returned to Illinois to join the faculty. In 1971 he moved to Penn and in 1978 he was named the first recipient of the Robert D. Bent endowed professorship. He served as Chairman of the Department from 1980 to 1985. Among other appointments, he held an NSF senior postdoctoral fellowship and was visiting professor at Imperial College, London, visiting scientist at MIT, Sherman Fairchild Scholar at Caltech, and visiting professor at the University of Rome. In recognition of his research contributions, Dr. Quinn received the Colburn Award of the American Institute of Chemical Engineers in 1966 and the Institute’s Alpha Chi Sigma Award in 1978. He delivered the Mason Lectures at Stanford, the Katz Lectureship at Michigan and the Reilly Lectures at Notre Dame. He was elected to membership in the National Academy of Engineering in 1978 and to the American Academy of Arts and Sciences in 1992. He was the inaugural 1995 Alan S. Michaels Lecturer in Biological and Biomedical Engineering at the Massachusetts Institute of Technology as well as Carnegie Mellon University’s 1997 Distinguished Research Lecturer in Chemical Engineering. He served as a member of several commissions and boards operating under the auspices of the National Research Council, including the Engineering Research Board, the Board of Chemical Sciences and Technology, the Committee on Separation Science and Technology, and the Amundson Committee on Chemical Engineering Frontiers. During his long career, Dr. Quinn taught hundreds of undergraduate and graduate students, supervised over 40 doctoral dissertations, and mentored numerous junior colleagues. His former graduate students, four of whom have been elected to the National Academy of Engineering, populate the most distinguished ranks of their profession. His standards of scholarly excellence, innate appreciation for creativity, and his deep humanity left an indelible mark in the work and in the lives of those people fortunate to have worked alongside him. Dr. Quinn passed away on February 8, 2016.